Ken has served as the “Over 30” Shoreline Adult Soccer League President since 1992, after 5 years in other positions. He was the league’s nurturer and guiding force as it grew into the most competitive adult soccer league in the state. He was also an outstanding player for Scandia, Hartford Ogniwo, Italian-American Stars, and New Britain Falcons in the Connecticut Soccer League, as well as the New York Americans in the ASL. He won both League and Cup championships with Italian-Americans and New Britain Falcons. Member of the CSSA Executive Committee, now serving as its Discipline Chairman. Ray was the head coach at the U.S. Coast Guard Academy for 31 years (1970-2001) before accepting his current position as Director of Athletics. He received the 61st NSCAA Honor Award in 2003, the highest recognition given by the National Soccer Coaches Association of America, for years of distinguished service, including one year as NSCAA President (1997). He also received the NISOA Merit Award in 1987, and is a member of the USCGA and Springfield College Halls of Fame. In additions, he was NEISL President from 1980 to 1982. He coached USCGA to ECAC titles in 1995 and 1998, earned NEISL Division III Coach of the Year honor in 1995 and Constitution Athletic Conference Coach of the Year Awards in 1994, 1995 and 1996. Paul earned state championships at Staples High School in Westport in 1971 & 1972. He was a two-time All-American at UCONN (1975, 1976) and a 1977 Senior Bowl participant, before being drafted No. 1 by the legendary New York Cosmos. He earned a North American Soccer League title with the Cosmos (1977) before moving to the Detroit Express, where he was named Co-Rookie of the Year in 1978. He spent his final NASL season with the Tulsa Roughnecks in 1981. He has continued to coach youth soccer in Connecticut since his playing days ended. He will be inducted with his older brother Tim. Tim grew up in Westport and was a state champion and the leading scorer at Staples High School in 1970. He was a two-time All-American at UConn (1972 & 1974), an All-New England player three times (1972-1974), and a participant in the 1974 Senior Bowl. He was also on the United States National Team for the 1975 Pan American Games. As a professional player in the North American Soccer League, he competed with the Boston Minutemen (1975-76), Team Hawaii (1977), Connecticut Bicentennials (1977-78) and New England Tea Men (1978) as a midfielder. He will be inducted with his younger brother Paul. Paul was an All-American at UConn in 1966, and was known for his outstanding speed and ball control. He was a member of the 1967 Italian-American Stars Soccer Club that won the National Amateur Cup title. He then went on to earn a reputation as one of the premier managers in American soccer. In 1971, he was the established the Connnecticut Wildcats Professional Soccer Team and joined the American Soccer League in 1973. Ingram earned the 1973 American Soccer League’s ‘Manager of the Year Award. Additionally, he has coached youth soccer in Columbia, Connecticut for over 20 years. 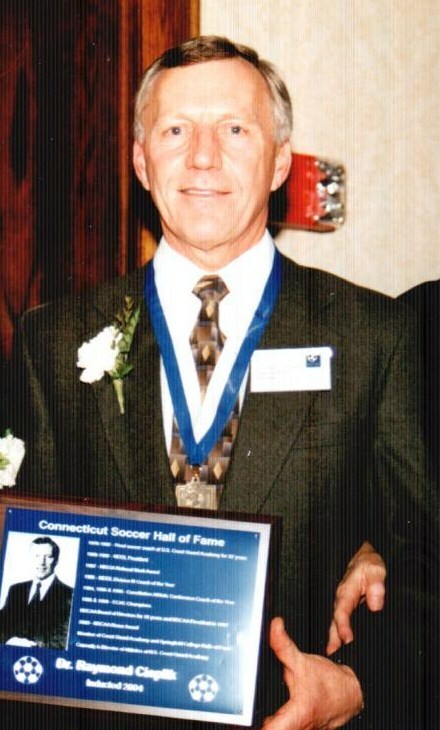 Myron was a National Soccer League of Connecticut Champion with Hartford Ukranians Soccer Club (1956) and was a NSLC All-Star (1957-59). He became an All-American at UConn in 1960 when he scored 17 goals in 13 games to lead UConn to the semifinals of the second NCAA soccer tournament. 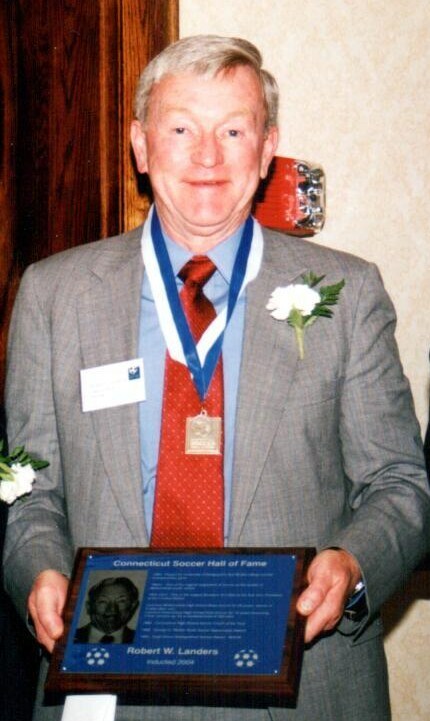 He was also a three-time All-New England (1960-1962) and earned UConn’s ‘Outstanding Senior Athlete’ Award in 1963. He was a member of U. S. National Team for the 1963 Pan American Games. He was selected for the U.S. Olympic team and participated in a regional playoff in 1964 in Mexico City. He also won the American Soccer League Championship (1964) with Hartford Soccer Club. 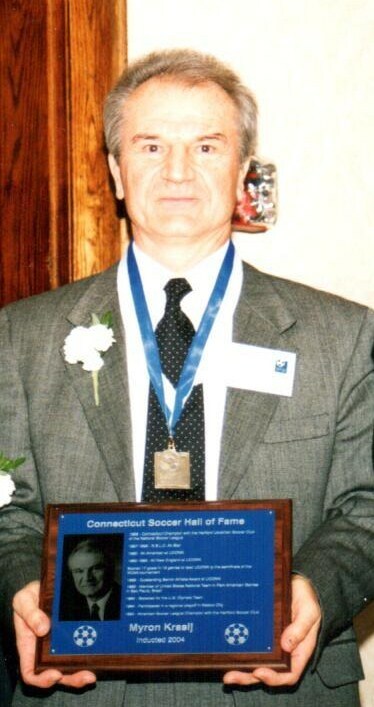 Robert Landers played in the first NCAA college soccer championship game for the University of Bridgeport in 1959. He went on to coach the Wethersfield High School boy’s team (25 years, 4 state titles) and the Glastonbury High School girl’s team (10 years, 3-time runnerup) to over 340 wins. 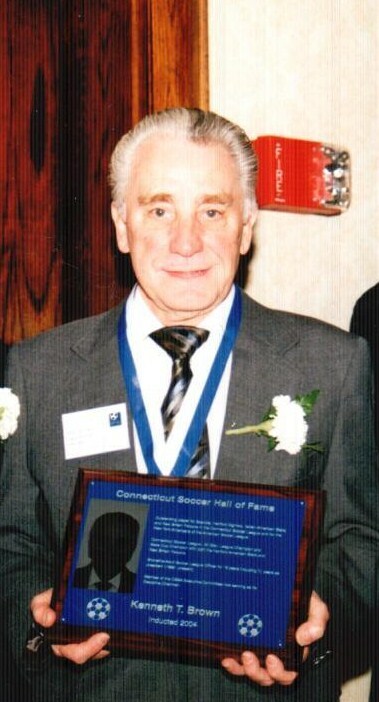 He was one of the original organizers of Connecticut Junior Soccer Association and the first Vice President of the Central District, while establishing Wethersfield youth soccer in 1960’s. 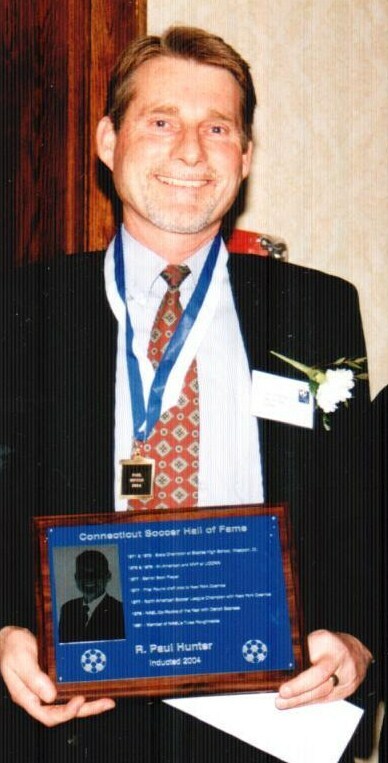 He earned many awards, including: Connecticut High School Soccer Coach of the Year Award (1968), George D. Ritchie Youth Soccer Appreciation Award (1988), and the Hugh Greer Distinguished Service Award - NISOA (1990). Irv was a Wethersfield High School soccer star (1935-38) prior to becoming an All-American at Springfield College in 1942. He coached Springfield College for 37 years (1948-1985) and won the National Championship in 1957. 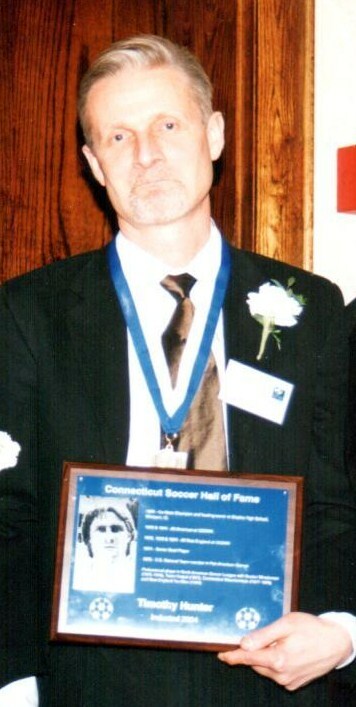 He was inducted into NSCAA Hall of Fame (1992) and National Soccer Hall of Fame (1993). In addition to numerous other recognitions, he received the prestigious NSCAA Honor Award in 1967. 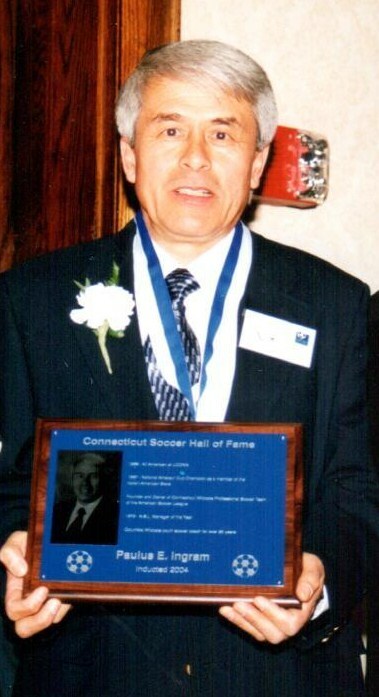 His soccer legacy is that he inspired and influenced the careers of over 110 college and high school coaches, including many in Connecticut; five of his graduates are past Presidents of NSCAA. 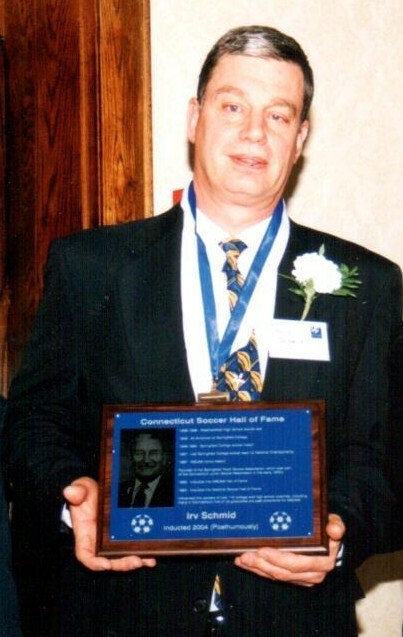 He is the founder of the Springfield Youth Soccer Association which was part of the Connecticut Junior Soccer Association in the early 1970’s. 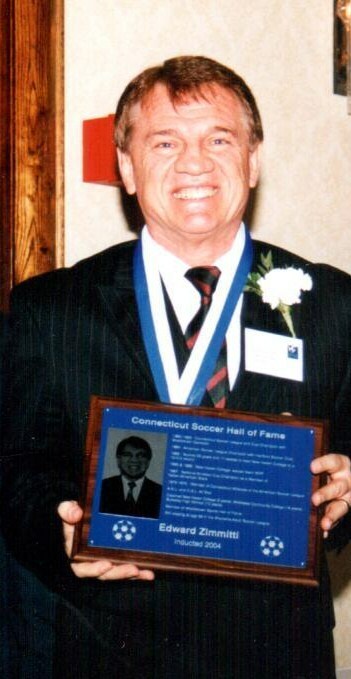 Ed was a Connecticut Soccer League and Cup champion with Middletown Garibaldi (1960-1963) and an American Soccer League Champion with Hartford Soccer Club (1964). He scored 23 goals and 17 assists to lead New Haven College to a 10-0-0 record in 1965, and was the team M.V.P. in 1965 & 1966. Ed won the National Amateur Cup as a member of Italian-American Stars (1967). He played for the Connecticut Wildcats of American Soccer League (1973-1975) and was an ASL All-Star. Zimmitti coached New Haven College (2 years), Middlesex Community College (16 years), and Bulkeley High School (10 years). He is a member of Middletown Sports Hall of Fame.